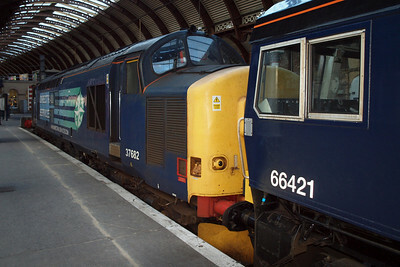 30/06/11 - 37682 and 66421 parked up on the blocks of Platform 1 at York station. 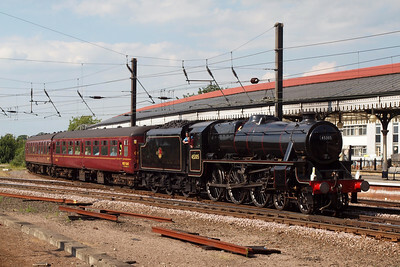 02/07/11 - 45305 working the Coast to Coast Express from Scarborough to Liverpool through York. 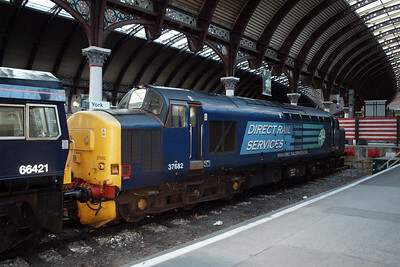 37682 sits on the blocks at York. 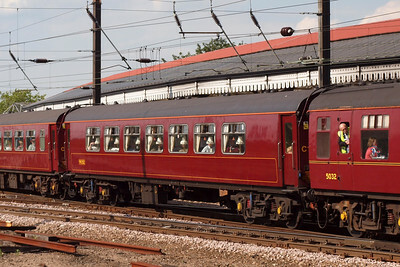 30/06/11. 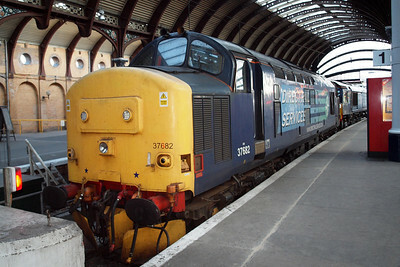 37682 at York, having been on route-learning duties to Lynemouth during the week. 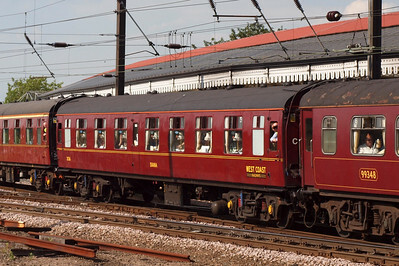 30/06/11. 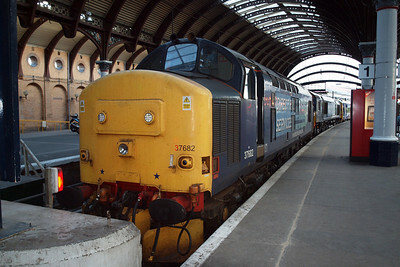 37682 in Platform 1 under the cathedral-like roof of York. 30/06/11. 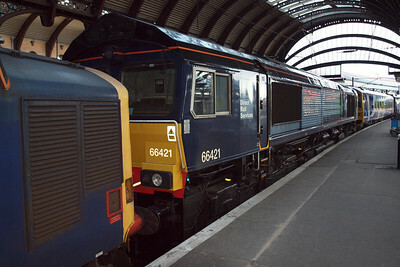 66421 at York, sandwiched between 37682 and a Northern Rail Class 158. 30/06/11. 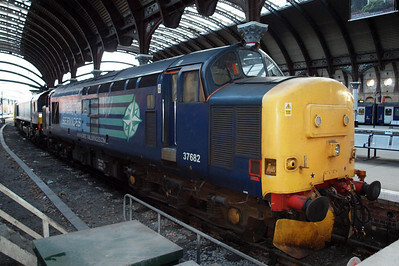 37682 on the blocks at York. 30/06/11. 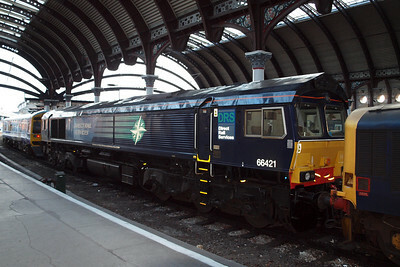 66421 sits in an unusual position at York. 30/06/11. 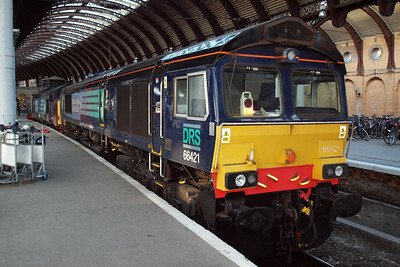 66421 stabled in Platform 1 at York with 37682. 30/06/11. 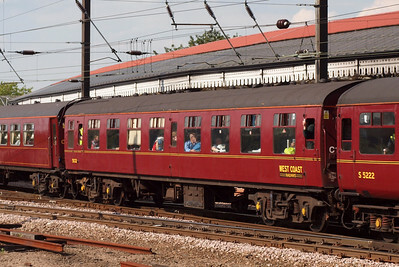 45305 arrives at York off the Scarborough line with the returning Coast to Coast charter for the Railway Touring Company to Liverpool Lime Street. 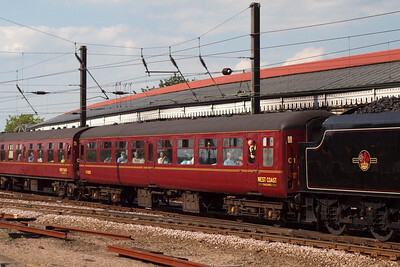 45305 draws into York station. 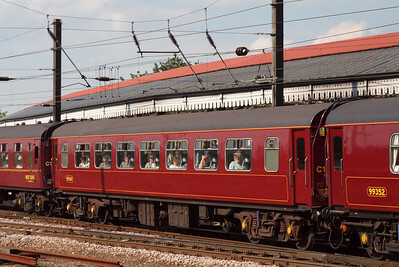 99712, Mk. 1 SK. 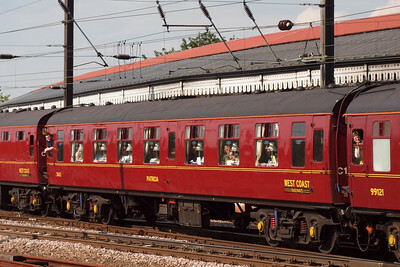 (now a kitchen car). 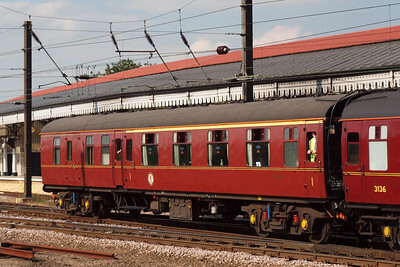 NB - Mr Tilston having a lean out in 3143. 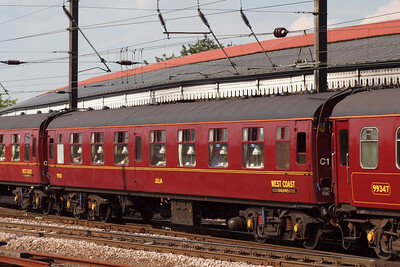 M17019, Mk. 1 BFK. 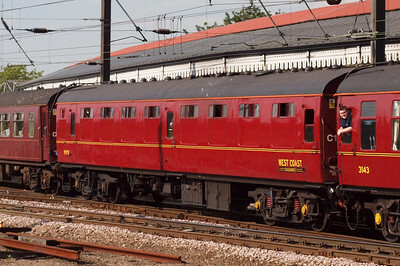 45305's support coach. 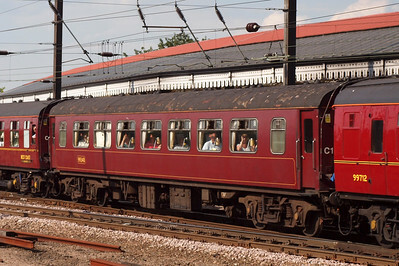 Maroon mk. 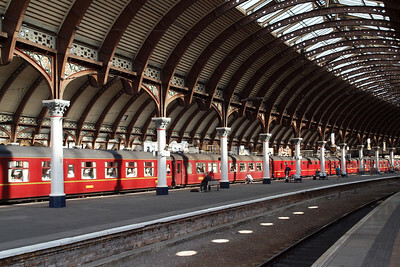 1s under the roof of York station. 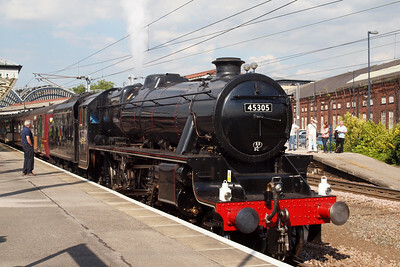 45305 stands at York, waiting time, looking pretty spectacular. 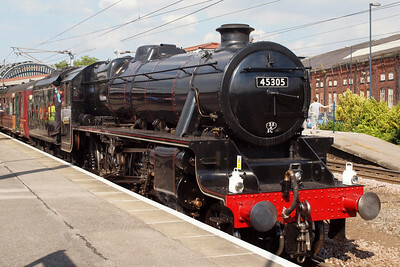 45305, LMS Black 5 5MT 4-6-0, with a charter at York. 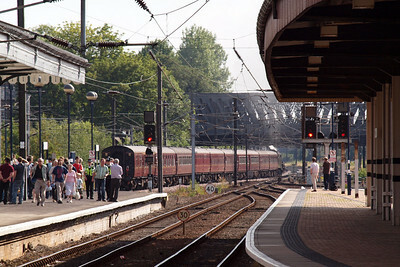 The charter departs from York, about to head under Holgate Road bridge.